These cute unicorn cupcake toppers would look fantastic on your assortment of cupcakes with that unicorn theme. This selection is part of our Animals range. 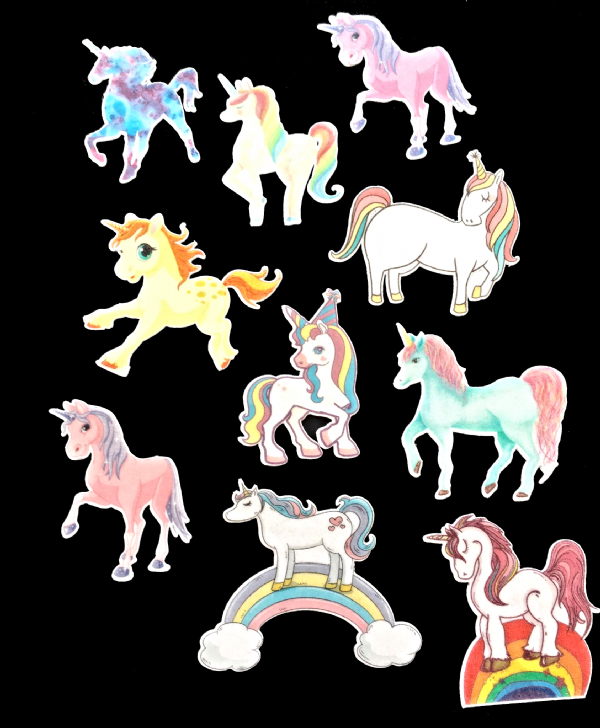 Each Unicorn is approximately two inches high and is printed with our high quality edible inks on either wafer paper or icing. 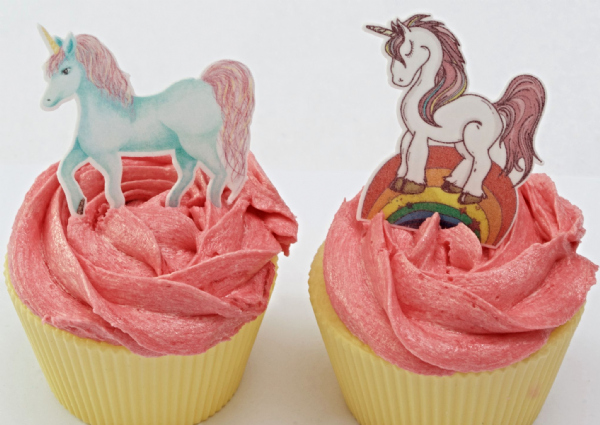 If you can't decide which to have it may help to say that the toppers made out of icing look fabulous when used to decorate a larger cake. 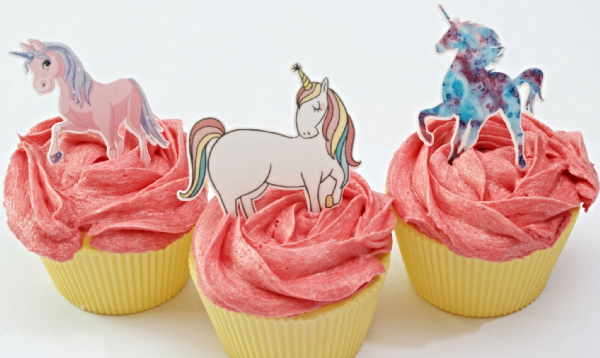 They can become part of a theme which any child would love for their birthday tea. The Wafer paper toppers look great on a cupcake - they will stand upright. Some of our customers use this idea to decorate place settings at a birthday table! These Unicorn cupcake toppers complement our original Unicorn Birthday cupcake toppers – if you want to have a look at those then Click here and it will take you straight to the right place! Perhaps you have your own themed pictures that you would like to see, so that your cake toppers are personalised just for you. Not a problem - go straight to the ‘Design your Own’ page (click on the link) and you can send us your pictures and tell us exactly what you want. If you're still not sure how to do this then please get in touch at sales@creativetoppers.co.uk We will always get back to you within 24 hours - and most of the time much sooner than that! 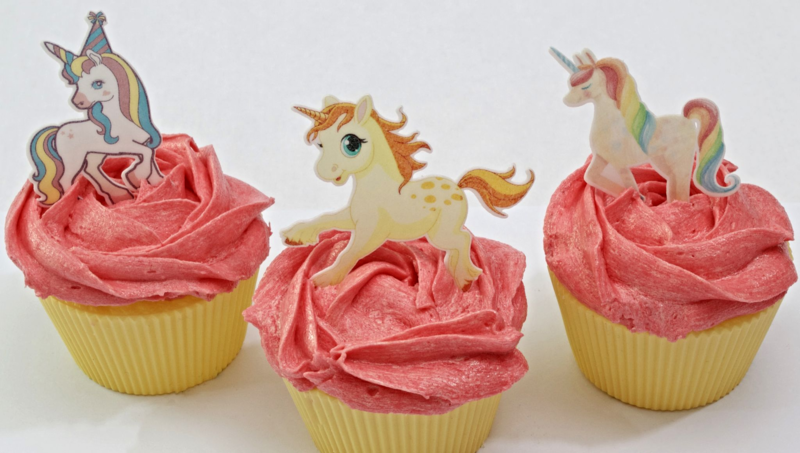 As with all of our cake toppers these Click or tap here to enter text. 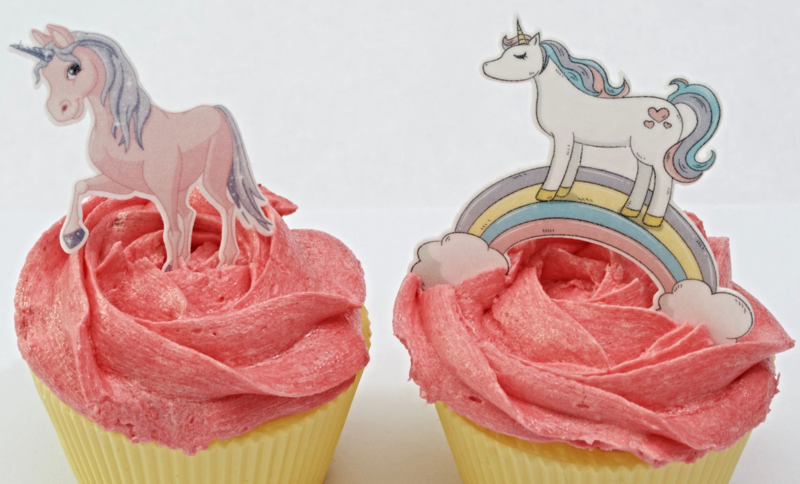 are printed on either edible wafer card or icing using our high quality inks. They have a long shelf life of at least 6 months so as long as you keep them in a dry place (not a fridge) and in the packaging that you receive them in then you should have no trouble in keeping them. 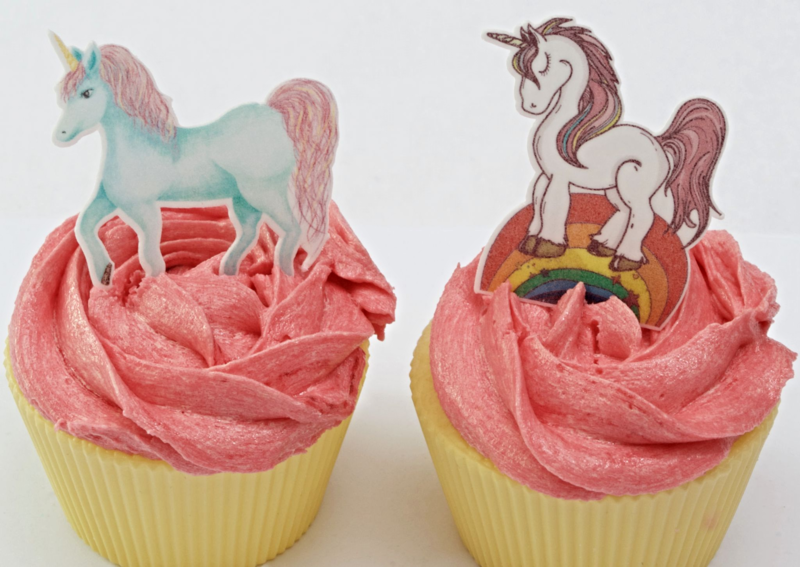 Our Unicorns are Kosher, gluten free and suitable for vegetarians. If you want to finish off your cakes with a bit of glitter then head over to our Glitter Card range where you may find a glittery theme or happy birthday sign that will help to bring the sparkle to your cake! If you can't see one that appeals to you then please get in touch - we are constantly making them for our customers to a design that they have asked for - making it a truly personalised cake for someone special. Remember, if you want to see other options just let us know what you are looking for. We are always looking for new ideas to introduce to our range and who better to tell us than you our fabulous customers! We are always adding new and exciting figures and like to have new ideas bubbling away in the background. Sometimes we already have the designs but they just haven't made it to our Website so please ask us!